The U.S. House of Representatives passed a resolution Thursday joining an immigration lawsuit soon be heard by the Supreme Court. It's the first time that the full House has voted to formally join in a lawsuit against the White House in a case that pits federal immigration policy against state rights. The measure passed largely along party lines, with 234 Republicans supporting the bill and 186 congresspersons opposing the bill, including five Republicans, according to Politico. The lawsuit was initially filed by the states and aims to block a Barack Obama program established by executive orders that would allow around 5 million of the estimated 11 million immigrants in the country illegally to work and live in the U.S. temporarily. Supporters of Obama’s initiative were angered by the House resolution. SEIU Executive Vice President Rocio Saenz said that by passing the resolution, House Speaker Paul Ryan and his colleagues “stood side-by-side with [presidential candidate] Donald Trump.” Saenz’ union has endorsed presidential candidate Hillary Clinton. Immigration activist Sulma Arias said in a statement that the move was a slight to Latinos. 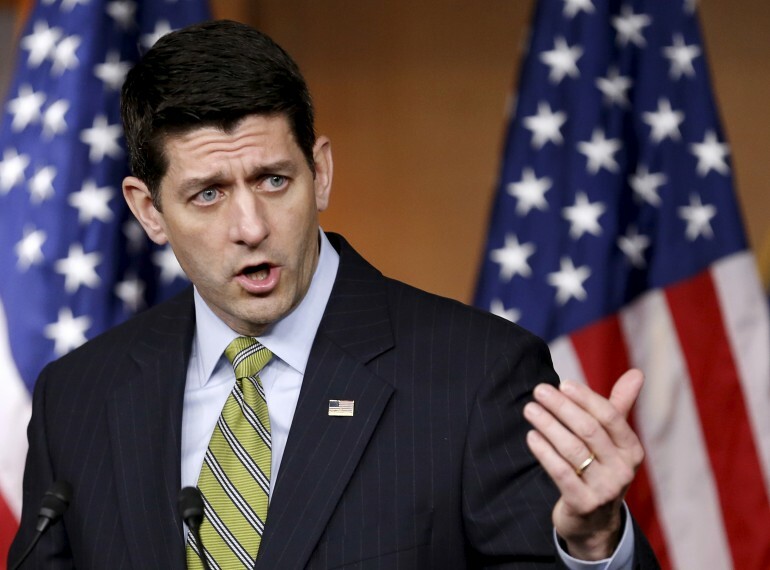 Earlier in the week, Ryan acknowledged that the resolution would be unprecedented, but contended that Obama’s executive actions amounted to an encroachment on Congress’ ability to write laws and a “direct attack” on the constitution. He reiterated those remarks on Thursday. "It is about the integrity of our Constitution," said Ryan, according to the AP . "Those lines — that separation of powers — could not be clearer. But in recent years, the executive branch has blurred these boundaries, to the point of overstepping them altogether." Ironically, a Supreme Court decision in favor of the Republican could backfire on future immigration enforcement plans. Here's how.